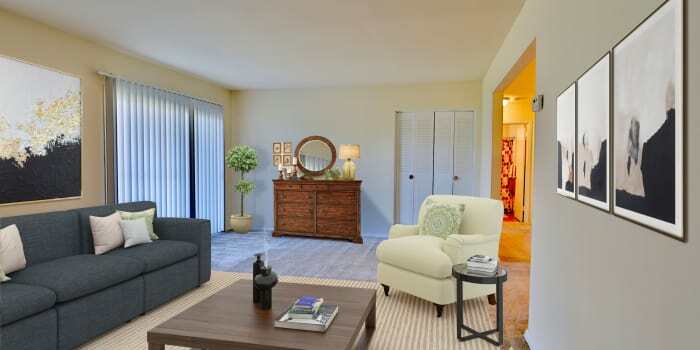 At Westerlee Apartment Homes, you have the freedom to select the exact home that fits your needs. Choose from one, two, and three bedroom floor plans at our Catonsville, Maryland, community. Whether you’re looking for a one bedroom apartment for yourself and your pet, a two bedroom apartment for you and a roommate, or a three bedroom apartment home for the whole family, you’ll find what you’re looking for at Westerlee Apartment Homes. Each of the apartments for rent at our Catonsville, MD, community are equipped with everything you need to live life well. Enjoy the convenience of an in-home washer and dryer, so you never have to schedule your life around laundry day. Our expansive floor plans have enough room for all of your furniture, and spacious closets help keep your wardrobe organized and looking its best. You’ll love spending time in your fully equipped kitchen complete with modern finishes, dishwasher, and a separate dining room. 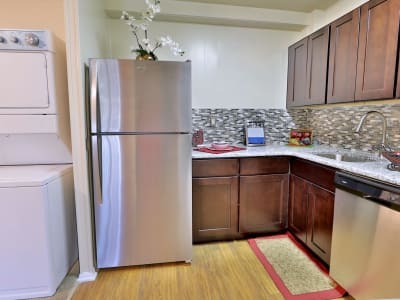 Our apartments have been specially decorated down to the designer tile backsplash featured in each home. Come see for yourself how Westerlee Apartment Homes can be a part of your lifestyle. Contact our professional leasing team today to schedule a personalized tour.